Walk-in freezers are the perfect answer for those requiring specific temperatures to preserve goods. Walk-in freezers by MTCSS are also easier to install than you probably imagine. The installation process of our commercial freezers requires no reconstruction to the surroundings, with the assembly process of your walk-in freezer being simpler than ever. Walk-in Freezers utilise the considerably low temperatures in which they can reach by preserving a range of products. Commercial Walk-in Freezers have the ability to preserve biodegradable materials, lengthening the lifespan of certain food products and pharmaceutical products and preventing the decomposition of cadavers. This is possible as the incredibly low temperatures produced by walk-in freezers prevents microbes present from multiplying. What temperature do Walk-in freezers operate at? 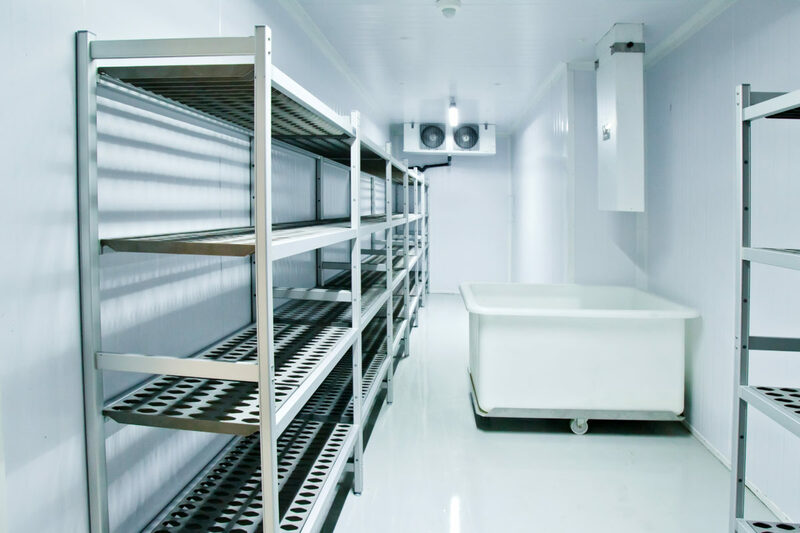 Freezer rooms can operate at varying temperatures, with some able to operate as low as -40 C. This makes walk-in freezers appropriate for a specific type of product. The freezing temperatures of commercial walk-in freezers makes them unsuitable for many different products and materials, particularly those damaged by freezing temperatures and contact with ice crystals. Although walk-in freezers carry a much more powerful cooling unit in comparison to walk-in cold rooms, the amount of storage space within a commercial walk-in freezer is not affected. Excluding the size of the freezer room, you decide to implement is a key factor to the storage space available, the methods you decide to implement will determine your storage allowance. MTCSS offer a wide variety of solutions to maximise your walk-in freezer space, the most commonly used being the implementation of space-efficient shelving. This shelving system, designed by MTCSS, will allow for the contents to be neatly organised. If you think your company could benefit from the easy installation of a state-of-the-art walk-in freezer, don’t hesitate in contacting one of our Storage Solutions experts on 01886 833381.